Ronnie O’Sullivan won a dramatic contest 6-5 against Judd Trump to reach the final of the Ladbrokes Players Championship in Llandudno. An exciting match which swung one way and the other came down to the last frame, and Trump suffered a slice of misfortune as his scoring chance ended when he got a kick then went in-off. O’Sullivan punished him in clinical style and goes through to the final on Sunday where he will face Mark Williams or Shaun Murphy over 19 frames. 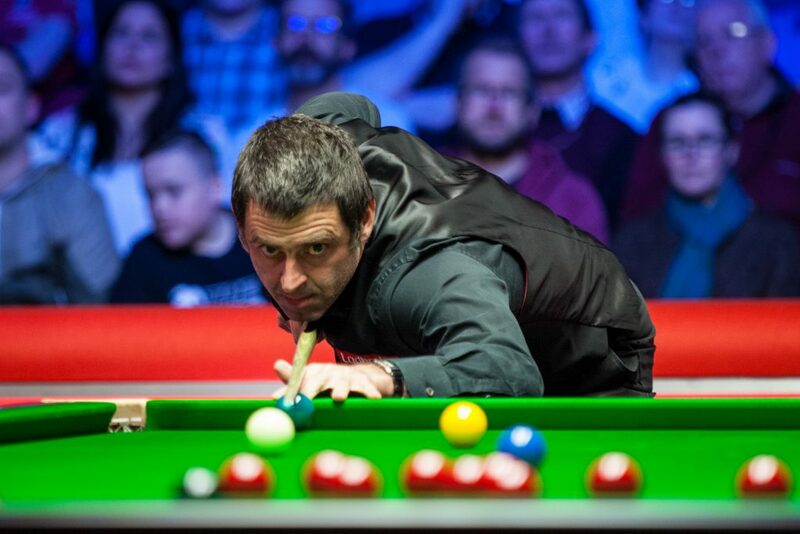 Enjoying one of the best seasons of his glittering career, 42-year-old O’Sullivan is aiming for his fifth ranking title of the campaign, having already captured the English Open, Shanghai Masters, UK Championship and Ladbrokes World Grand Prix. Victory on Sunday would see him equal the record of five ranking titles in a single season, held by Stephen Hendry, Ding Junhui and Mark Selby. The £125,000 top prize would push his prize money for 2017/18 close to £800,000. Defending champion Trump looked the stronger player in the early stages tonight, winning the first two frames with top breaks of 74 and 49. O’Sullivan hit back by winning the third then made a magnificent 143 total clearance – the highest break of the tournament – to level at 2-2. A run of 71 from world number two O’Sullivan put him 3-2 up, then Trump, ranked third, made a 109 to win the sixth frame. The seventh came down to the last red and Trump doubled it to a centre pocket and added the points he needed to lead 4-3. O’Sullivan took the next with a top run of 53 then Trump regained the lead with a superb 123. Bristol’s Trump had a chance early in frame ten but missed a red to a top corner, letting O’Sullivan in to force the decider. First genuine opportunity went to Trump but after splitting the reds off the black, he got a kick on 16. He still managed to pot the next red but the cue ball dropped into a centre pocket. 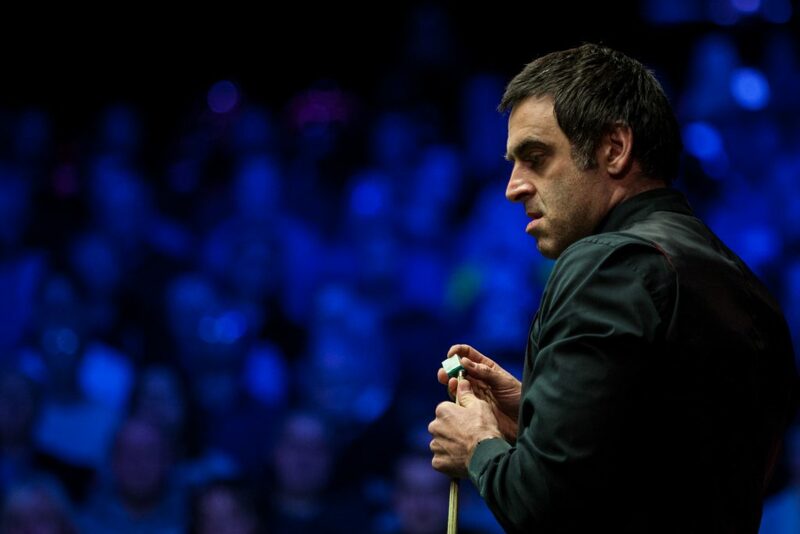 O’Sullivan rattled in a long red, securing perfect position on the black, and went on to make a match-winning 67. O’Sullivan, who has won 32 of his previous 46 ranking finals, said: “It was a good match. I felt a bit sorry for Judd because I know how hard he works. He had a good chance in the last frame. It’s tough on him but he’s a strong character and he’ll come back from it. You have to take the rough with the smooth in sport. “I’ll go out there in the final and try to be as quick as I can, win or lose. I’ll try to keep it free flowing. I’m not the most confident player – I never fancy my chances until I hit my first ball. The build up is always the worst part for me. Trump said: “I got the balls open in the last frame then I had a kick. That left me awkward and I ended up going in-off. I think I would have gone on to win otherwise, the way the balls were. Anyone in the crowd could have cleared up from there. I felt I was the better player tonight but missed a couple of balls when I could have got it over and done with earlier.